AUTHOR INFORMATION: Pavarti K Tyler is an artist, wife, mother and number cruncher. She graduated from Smith College in 1999 with a degree in Theatre. After graduation, she moved to New York, where she worked as a Dramaturge, Assistant Director and Production Manager on productions both on and off Broadway. Later, Pavarti went to work in the finance industry as a freelance accountant for several international law firms. She now operates her own accounting firm in the Washington DC area, where she lives with her husband, two daughters and two terrible dogs. When not working on taxes, she is hard at work as the Director of Publicity at Novel Publicity and penning her next novel. OFFICIAL SYNOPSIS: Forced to witness the cruelty of the Morality Police in his home city of Elih, Turkey, Recai is called upon by the power of the desert to be the vehicle of change. Does he have the strength to answer Allah's call or will his dark past and self doubt stand in his way? FORMAT/INFO: Shadow On The Wall is 197 pages long divided over five parts and an epilogue. Narration is in the third-person via Recai Osman, Hasad Sofaer, Rebekah Sofaer, Darya, Isik, Fahri Kaya, Maryam the nurse. This is the first book of the Sandstorm Chronicles. April 17, 2012 marked the e-book and paperback publication of Shadow On The Wall by Fighting Monkey Press. Cover art is provided by Damon Za. 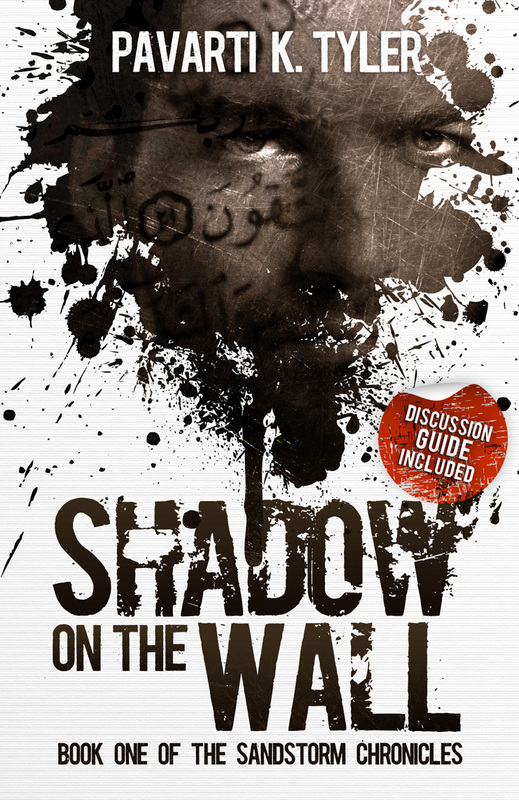 ANALYSIS: Shadow On The Wall is a book from an author that I had no clue about. We received a query letter about it and the book’s blurb along with its exotic setting heightened my interest in it. I was curious to see how the author would portray Islam within the confines of the superhero and urban fantasy subgenres. It was also marketed as literary fiction and this was also a plus point in consideration for me choosing it. Shadow On The Wall is set in the city of Elih in Turkey and is set in modern times, however the exact year is never given. The reader is rather suddenly introduced to the main protagonist Recai Osman who is trapped into the desert outside the city of Elih with no precise recollection of his presence. He however tries his best to survive and is rescued by Hasad Sofaer, an Indian jew who takes him in his home and with the help of his daughter Rebekah tries to nurse him back to health. Things are going on a smooth keel however they soon turn dastardly as members of the RTK political party make an appearance in Hasad’s village and the twist of fate that triggers Recai’s heroic odyssey occurs. The story then skips three years and we are re-introduced to Recai as he comes back to Elih. This time however he’s not the person he was before and he will come across many characters that will lead to the rise of the sandstorm. There's also the other characters that are introduces such as Darya, Isik, Maryam and Fahri who share the page presence and further introduce twists in to the plot through their actions and plans. Pavarti’s book is quite different than what I thought it would be, for one the author has really tried to focus on the minutiae of individual actions that further cascade down into horrific as well as benevolent events. I believe the author was trying to showcase the actions of fate as well as personal choice thereby giving both black and white sides to characters that we read about. The characterization of the book is the highlight of the book as the author gives us a veritable slice into the lives of myriad characters, both honest and devious, both male and female. While Recai Osman is the main character, the author also dwells into the life of secondary characters to present a wholesome side of life in the city of Elih. There are some strong parallels between Recai and Bruce Wayne however the author makes it very clear that Recai is not the same man as the Dark Knight. He however does share similar prejudices against those who have been corrupted. Secondly the author’s prose draws in the reader into the story and life that is so suffocating in the city of Elih under various sanctions and constrictions placed by those in power, the reader will feel the pain felt by the characters and therefore their actions and motivations become that much more clear. Lastly the author has to be thoroughly commended for her research and background details in several Islamic sayings and fashion which she has described in the book, from the spellings to the greetings and customs, the author manages to get all her ducks in a row and this adds to the richness of the culture showcased within. While all the wonderful points of the book do help, there are some facets to it that might affect the read for some readers. Beginning with the pacing which is a bit uneven and causes the read to falter a bit in the start and the middle of the book to a certain extent, while this is very subjective I felt that it did occur enough times to stifle the read. Another point of contention is that the author never really reveals what occurred to the main character that lead to his eventual transformation. I felt that this could have been explored more or at least a bit more exposition would have definitely helped explain the genesis of the story’s central character. This is also offset against the fact that this is the first book and therefore the authorial plan might be to reveal more as each volume progresses. Lastly the book I felt tries a bit too hard to showcase its literary side and this perhaps offsets the thriller aspect of the story. CONCLUSION: Pavarti Tyler’s book is quite a mix up of styles and genres however one thing is true about it that the author has taken some pains to chalk out the story and flesh out the characters. Shadow On the Wall does it best to raise questions about the role of religion, gender, faith and society which I believe was the author’s purpose. Give it a read if you wish to explore a different culture and a different type of superhero. Thank you so much for your thorough review and for hosting Shadow on the Wall on your website! It's wonderful to hear back from readers about what works and what doesn't. Thank you! It appears Shadow on the Wall is available on Amazon as a Kindle ebook for 99c!